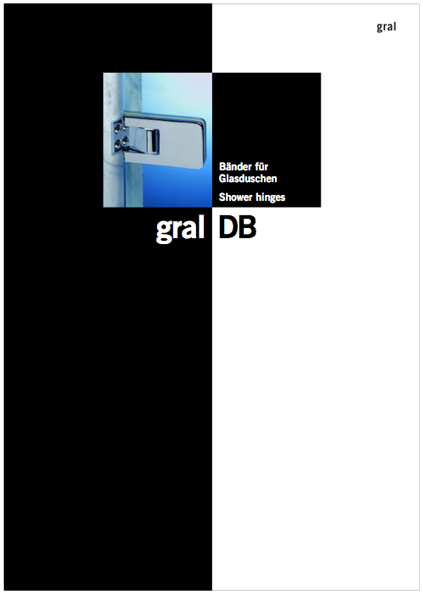 During the development of the new generation of gral DB shower hinges, the needs of the fitter and the expectations of the user were a priority.The glass preparation is simple and very secure, and installation is uncomplicated. 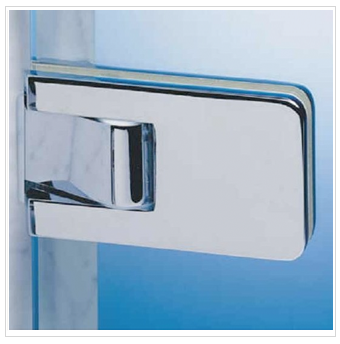 The reliable holding of the door in the closed position, and the self-closing function which operates from approx. 20°, mean that the user can enjoy an untroubled shower. The clear acrylic seals suit a glass thickness of 8 mm, and the purpose-made make up piece means it can also be used on 6 mm glass. Gral DTS 10 fittings are designed for doors up to 1000 mm wide and a maximum of 40 kg in weight. All models are suitable for both single and double action doors. The maximum opening angle for single action doors is 90°. The hinges can be hung on the right or the left, so there is no restriction on positioning.